While most websites sell for 6-10 times their monthly profit, you can apply your website’s long-term value to its valuation as well. Look beyond your website’s short-term revenue. Is your website a hit on social media? Does it have a growing search presence? Make sure to consider the potential for revenue growth and look for indicators beyond monthly profit to price your website. On the other hand, optimize your profits before listing your website. Test different monetization methods or ad placements, for example. Little changes can have drastic effects on your website’s profits. Without profit optimization, your website will never reach its true value when sold. Understand your type of website and what a potential buyer is looking for. 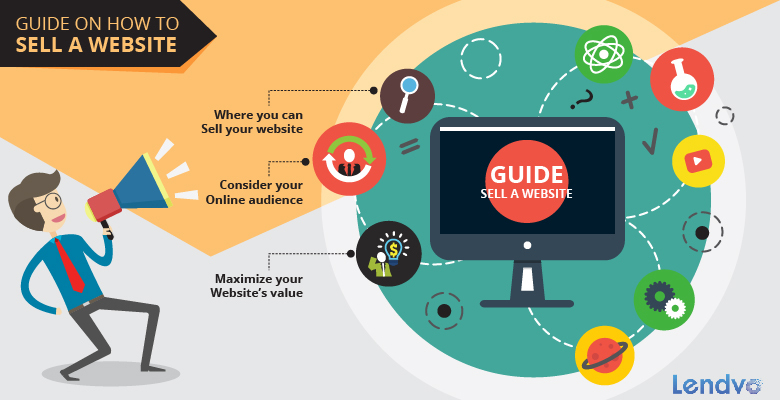 Different websites require different sales tactics, and it is important to understand how your audience will respond to your website auction. You should also research successful sales before listing your own website. Look at similar websites that have been sold successfully – How much information did they disclose? Which sales tactics did they use? What did their pitch look like? You will automatically be better off by implementing strategies from previous successes. Your audience will also determine where you should sell your website online. Use the auction site that will attract the right audience. For some, that will be the most popular outlet, Flippa, which will allow for visibility and a wide range of buyers. However, if you are selling a niche website, and looking for a free option you should consider appealing to your audience directly, rather than using a widespread outlet.